How to Tell If Your Leather Is Real: Quality or Not? Leather is one of mankind’s oldest and most useful materials. Because of its comfort and durability, leather is used in a wide variety of goods from bags and watch straps to gloves and shoes. 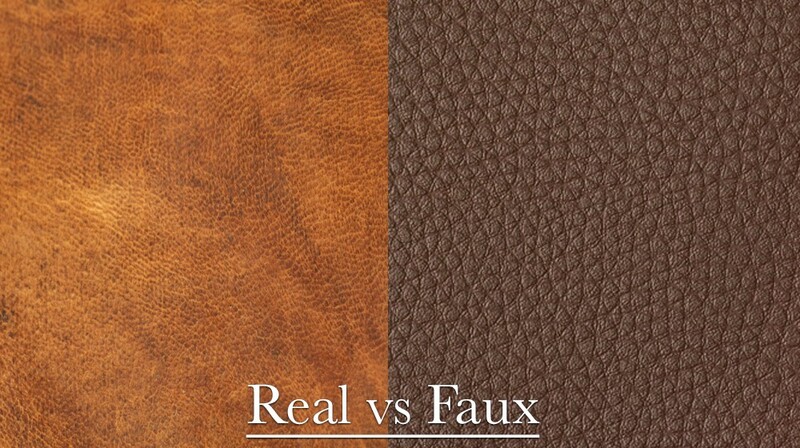 But what separates real leather from fake (faux) leather? Even further, how do you identify high-quality leather from its subpar fellows? Let’s start with the product: It just might tell you. While many brands choose to keep the descriptions of their products to a minimum on the actual product itself, some brands will state the nature of the material on the tag or label. You may see a “100% leather” tag or a “genuine leather” stamp. If the brand does not tout the quality of their leather or mark it in their labeling, you may be looking at a faux. Faux leather goes by many names like “vegan”, “artificial” “pleather”, or “leatherette”. At lower costs than even the lowest quality leathers, faux leather is a cheap alternative for brands looking to imitate the look of leather. This material is made from a fabric base, which is chemically treated with polyurethane, wax or dye for color and texture. Often times, you get what you pay for. Fast fashion brands known for their “low low” prices likely will not have quality leather in their stores. 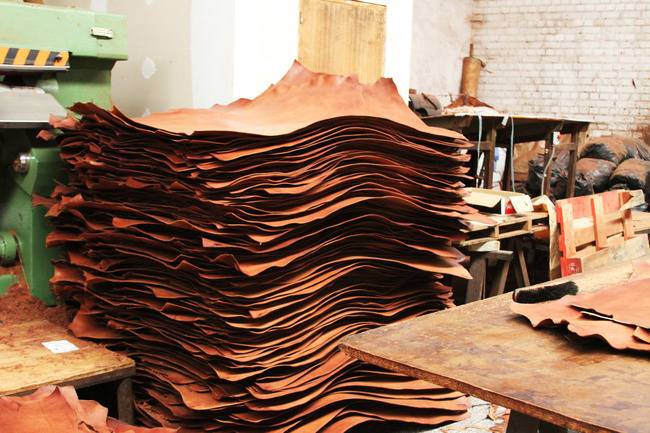 Real high-end leather is sourced from tanneries with the upmost standards for their hides. Transparency from the brand on their sources and processing is key to identifying great quality. The process: Tanning is the process of treating the hides to produce texture, durability and initial color. There are two main ways to tan leather, chrome-tanning and vegetable-tanning. Chrome tanning is done using chromium-based chemicals while vegetable tanning uses natural tannins from ingredients like tree bark. Most leather around the world is chrome-tanned (~85%). Brands who produce the highest quality leathers will opt for vegetable tanning. This method has its roots in Ancient Greece and Rome. Vegetable-tanning produces a natural look to the leather, is more sustainable, and patinas beautifully with time. Full-grain, Top-grain or Genuine leather (suede). At the tannery, the hides are split and sold as different types of leather. The most durable of that material is called “Full-grain” and is the outermost layer of the hide. With Full-grain, you will be able to see tiny indentations called ‘grain’ (pores) when looking closely at the leather. With lower qualities of leather (Top grain and Genuine leather) the structure will be much smoother and have a synthetic or unnatural appearance. Some brands will mention their Top-grain and Genuine leather as “Real leather” but this material is far from Full-grain when it comes to natural appearance and durability. Use your senses. Next time you’re out shopping, stop by your local leather store and take a whiff. Check out some different pieces to determine some personal indicators of real quality and fake imitation leather. Does it smell like chemicals? Or does it have an earthy aroma? Plasticky and smooth or slightly textured? Much work is gone into the production of high-quality leather and its tradition stands the test of time. When you find the right leather for you, rest assured, you will absolutely love it. 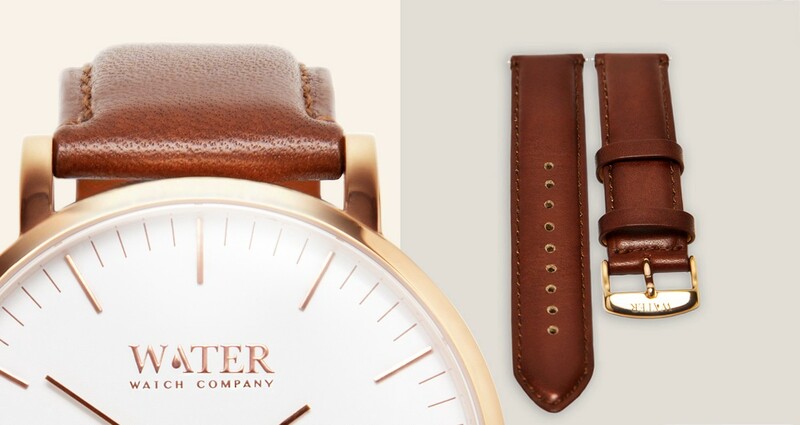 Full-grain leather strap details by Water Watch Co.
Like the content? Sign up for our newsletter!